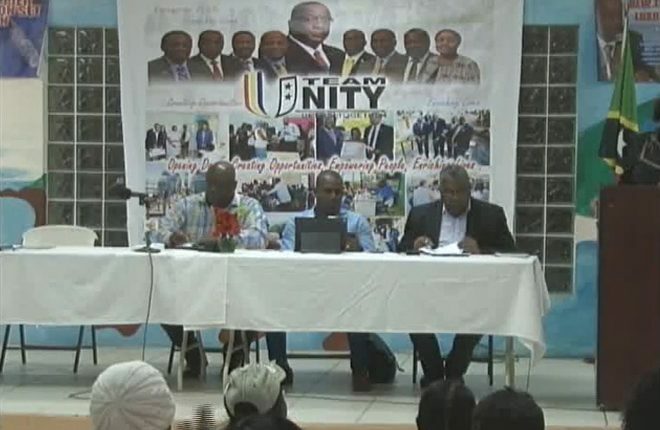 The Team Unity Government’s Town Hall series, dubbed “The People’s Forum,” continued on Tuesday night at the Sandy Point Community Centre. During her presentation, Senator Phipps used the opportunity to highlight the accomplishments the Team Unity administration achieved in Health. She said “in three short years, your government has been able to make significant strides in terms of improving the health outcomes and the provision of health related services for the benefit of the people”. 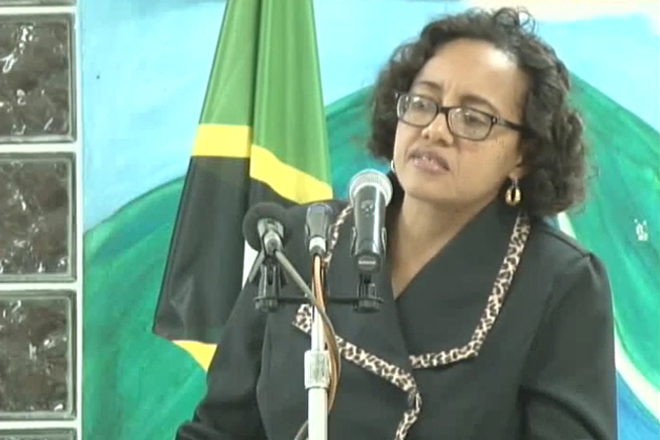 She also revealed that the Pogson hospital will be the designated site for in-service training. “Pogson Hospital will become the National Hub for in service training and capacity building to improve the community health, nursing and medical programme in St. Kitts and Nevis”, Senator Phipps explained. The people’s forum town hall series, which kicked off as part of the official activities to commemorate the Team Unity Administration’s third year anniversary, forms part of the government’s good governance and accountability agenda where the leaders present themselves to the people and give detailed accounts of their stewardship. The town hall meeting was carried live on ZIZ Television Channel 5, ZIZ Radio 96.1 FM, streamed online at www.zizonline.com and the SKNIS facebook page.